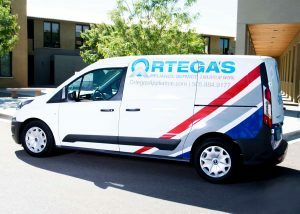 Since 1975, Ortega’s Appliance has offered high quality appliance repairs, parts, and customer service to the Albuquerque area. We will soon be serving the Santa Fe area as well. The Ortega family — Manny Ortega Jr. and his father before him — has been serving Albuquerque’s appliance repair needs since 1975 — and we are proud to celebrate more than 40 years of service to our community. Thanks to our loyal customers and dedicated, talented employees, Ortega’s Appliance Service has grown steadily. In 2015 we expanded into a brand new headquarters building and hired additional qualified service technicians— all reflecting the Ortega’s Appliance Service commitment to serving our customers at the highest level of quality and professionalism. From the time your call is received, our courteous and qualified staff has been trained to listen, assist and respond to your service needs quickly. They will exceed your expectations and make your service experience with us a pleasant one. Your life is affected when an appliance needs service. Chances are, the part you need is right on our van. We can fix most problems right away. In those situations where we don’t have the part, we will communicate effectively with you regarding the ETA of that part. Typically we are able to fix the service problem in the first call. In our industry this is referred to as “first call completion”. Our rate is higher than most servicers in the country. We accomplish this by pre-diagnosing every service request when a model and serial number is provided for the appliance. We are grateful to our customers and our employees for our success. We want to share with you two of the more recent awards we’re most proud of – one of which was the New Mexico Ethics in Business award. Ortega’s is the first appliance repair service to have won this award. In 2015, we were also awarded Family Owned Small Business of the Year by the Small Business Administration.